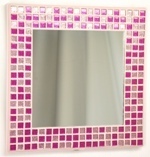 Accentuate your decor with this range of colourful mosaic mirrors, hand made in the UK - add a splash of colour, pattern, texture and interest! 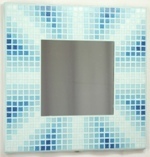 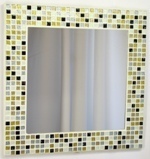 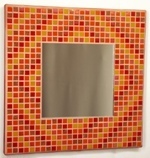 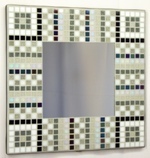 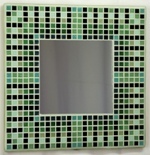 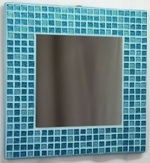 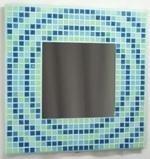 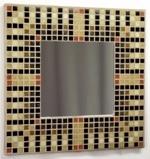 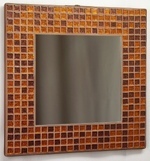 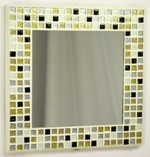 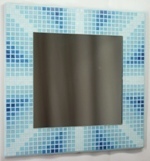 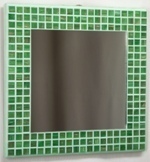 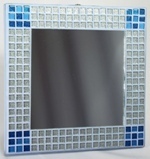 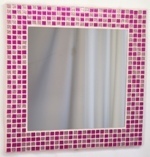 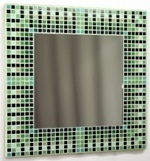 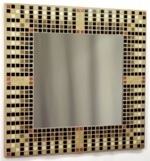 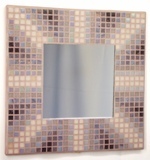 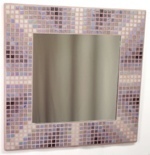 Home Studio crafted, fully tiled and grouted with small glass mosaic tiles in a choice of formats, these mosaic mirrors will brighten up your walls or with optional stands many can be used to decorate your dressing table or other surfaces. 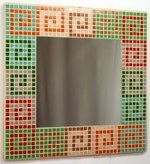 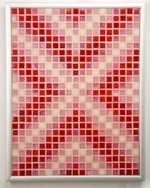 Available in a range of patterns and colour schemes!